Toutes les partitions pour flute de la collection Mel Bay. 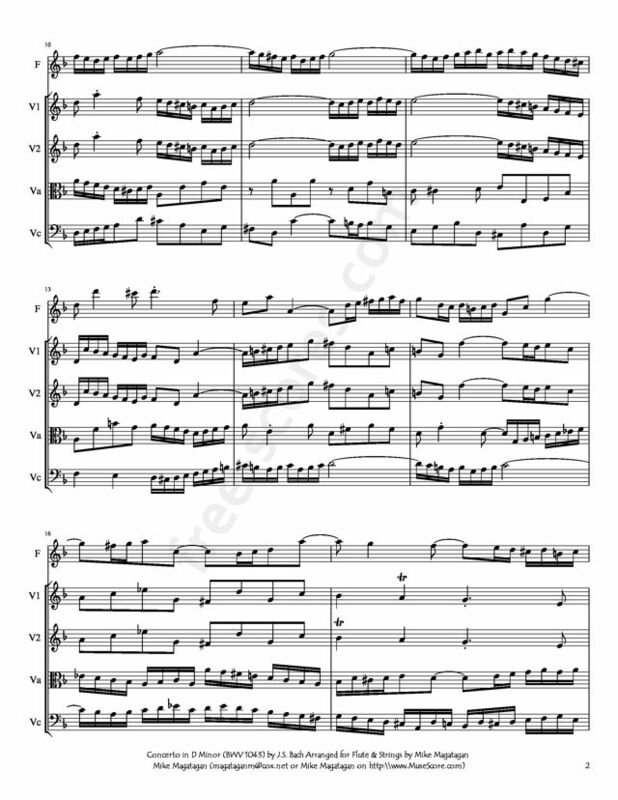 This music was composed at Cöthen between 1717 and 1723, and very likely first played by Joseph Spiess and Martin Friedrich Marcus with Prince Leopold's court orchestra. 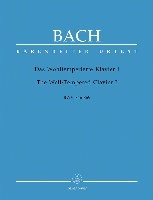 At Cöthen, Bach had no organ to play, despite his pan-German reputation as a virtuoso on that behemoth among Baroque instruments. However, he was proficient as well on the violin, the viola da gamba, and of course the clavier. Without his first choice available, or church duties such as Leipzig demanded later on, Johann Sebastian concentrated on instrumental music in various combinations -- much of it subsequently lost. 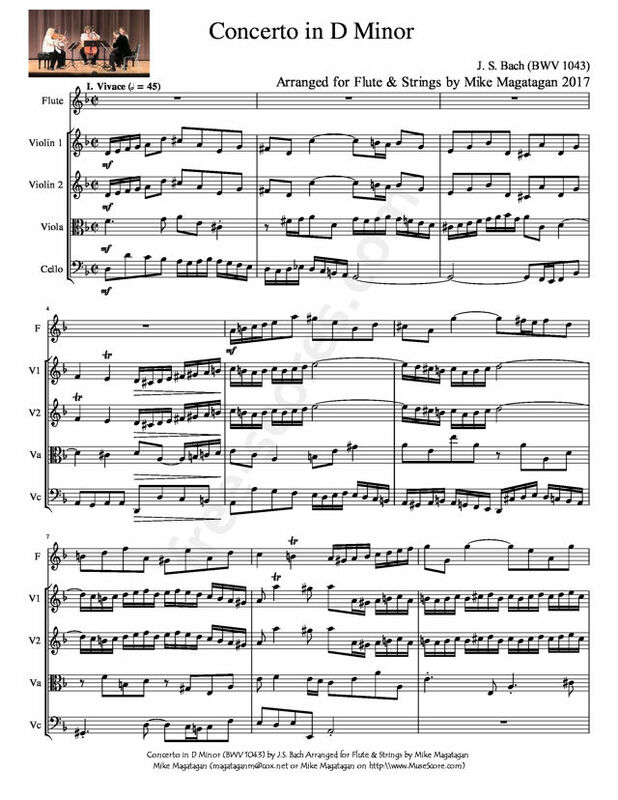 Along with the Brandenburg Concertos as a set, only two more concertos for solo violin and the D minor for two violins survived out of who knows how many, beyond the ones Bach rewrote at Leipzig after 1729 for one, two, three, and four claviers. 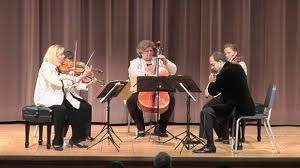 All of his concertos, Brandenburgs included, had Vivaldi as their point of departure, and some were even transcriptions of the Italian master's works. Bach's genius was, of course, that he could individualize as well as transcend the music of a man indirectly his mentor. His works hadn't the sensuality or esprit of Vivaldi's; Bach was German Lutheran, bound beyond climate and environment by a religion that denounced the secular excesses in which Roman Catholicism (as Luther viewed it from within) had wallowed since the Middle Ages. While opera had no place in Bach's education, life, or music, he was nonetheless sublimely capable of lyricism, warmth, and gentleness, never more so than in the Largo, ma non tanto middle movement of this Double Concerto, with its 12/8 Siciliano rhythm and solo lines that seem to caress one another as they overlap and intertwine. On either side of this blissful duolog, however, the Baroque contrapuntist displays his mastery of synthesis and organization. 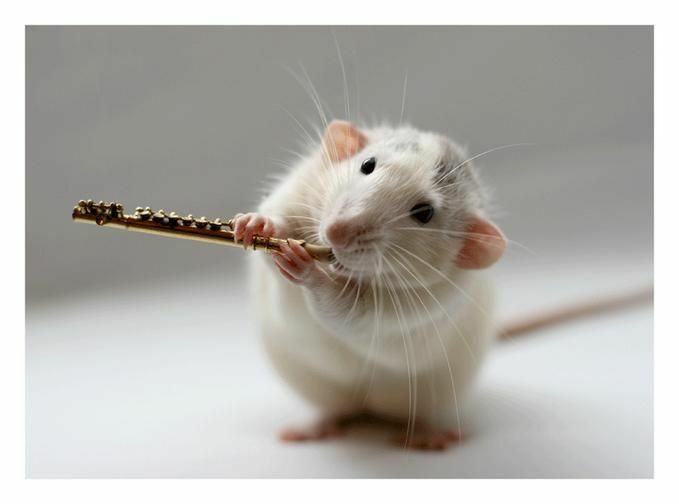 The concerto opens with a fugal exposition of two contrasting themes, and their "development" in the ritornello style through G minor and C minor before the orchestra "reprises" the opening theme one last time. The allegro finale, in triple meter, likewise features imitation and repetition with the soloists front and center. Even more than in the first movement, there is a feeling of sonata form in embryo, with the charming surprise of a reprise in G minor instead of the tonic D minor. Source: AllMusic (http://www.allmusic.com/composition/concerto-for-2-vio lins-strings-continuo-in-d-minor-double-bwv-1043-mc0002 377120). 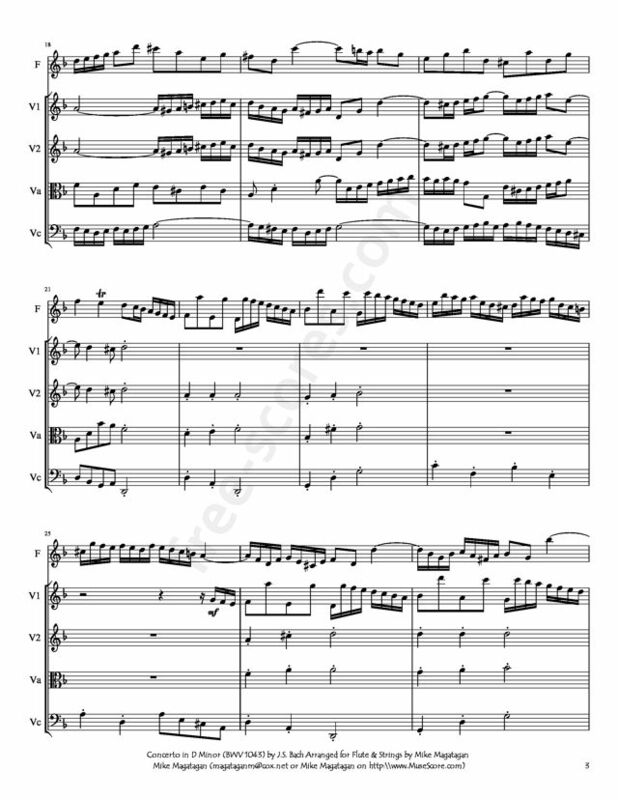 Although originally written for 2 Violins & Strings, I created this Arrangement of the Concerto in D Minor (BWV 1043) for Flute & Strings (2 Violins, Viola & Cello). Transcribed by Jean Rosenblum, Peter Greenwood. Set of performance parts and accompaniment CD for flute (or recorder) and guitar. 86 pages. Published by Carl Fischer.